Ahh, MUA. A brand beloved by both girls on a budget and girls not on a budget as they produce some pretty impressive makeup for very cheap prices. 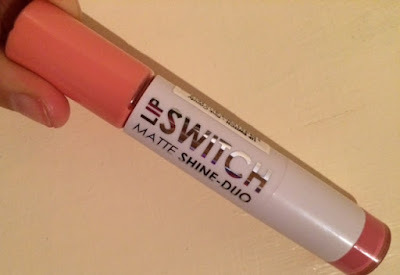 I currently use this as an everyday lip product as I looove to wear baby pink lips - it really brightens up my day! Anyways, this product is basically a matte lipstick on one end and a shimmery lipgloss on the other! It's pretty convenient as you are able to switch up your look depending on how you're feeling that day or what the occasion is. The lipstick itself is pretty creamy and not too drying as matte lipsticks have a tendency to be. The gloss is cute too and it looks nice worn over other lipsticks! I'm really loving this product actually, the only fault I have is that the colour makes my teeth look a little yellow as these pinks tend to. It's too cute for me to care though. If you're thinking of trying this product - go for it! They're super inexpensive and really very good. The Hot Fushia colour is next on my list.